I remember reading Stef's enthusiastic review of Kris's Rye Eclipse. It's one of the great classics in the free-composed genre, an album more than worth checking out if you don't know it. Here she is again in large formation, something that really suits her great composing skills. Her group is made up of Mat Maneri, viola, Ingrid Laubrock, saxophone, Trevor Dunn, bass, Tom Rainey, drums and naturally Kris Davis, piano. It's a good combination that really gives her compositions a chance to breath and at the same time has a depth of sound. The opening notes of the album jump out at you making me think of King Crimson's David Cross pieces/period due to the violin's eerie presence. It's an atmosphere that pervades this album. Fine textures that develop within the group, 'spectral' would be a good term (if we were listening to contemporary classical music). The fine detail that the musicians put into the music is amazing not unlike a painting from the Flemish masters! "Too Tinkerbell"(tk1) the opening piece bravely settles into a group impro from the very start, yet underneath there is clearly a logic which only emerges after about 3 minutes. The wide open choice of notes that make up the theme give time a suspended feeling as if you're floating. This is a style that Kris Davis uses often, introducing notes into her pieces whilst the group improvises around her. A bass line that seems abstract suddenly becomes a melody, the drums seemingly flay around, yet they are a precise part of the melody to come, and so on. It's nice to hear Ingrid Laubrock playing in a 'melodic' situation. Here she gets the chance to display her line playing to good advantage. Along with Matt Maneri's viola the two often complement each others improvisations to create some very delicate music. The rhythm section of Tom Rainey and Trevor Dunn give a fine performance also. The two players are able to give the impression of complete freedom whilst sneakily heading towards a common goal. Listening to these two players, combined with Kris Davis's piano you start to realise the complexity of some of the compositions. If a piece is rushed too much it would loose it's qualities and the rhythm section plays it just right. "Trevor's Luffa Complex"(tk3) is just such a piece. Starting with a bass solo the group gradually climbs on board until everything is in place, just in time before a strong theme explodes at the end. Most of the pieces function in this way surprising the listener constantly. It's a style that makes for detailed listening over and over again. Details or structures that you hadn't grasped at first become clearer with each listen, as I already said it's like looking at a highly detailed painting - even Where's Wally for music! 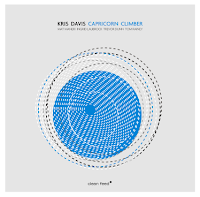 "Capricorn Climber"(tk4), "Pi is Irrational" (tk7) and "Dreamers in a Daze" (tk8) all have splendid improvised sections that build up over time, everyone is featured in there own fashion. At the same time the music is never clumsy or heavy handed. If you enjoy listening to finely balanced music which can be both daring and beautiful then you'll probably find this a very rewarding album. If you don't know Kris Davis's work this may be as good a place to start as anywhere. Really looking forward to grabbing this one. I think Mat Maneri and Kris Davis would make a really interesting pairing. 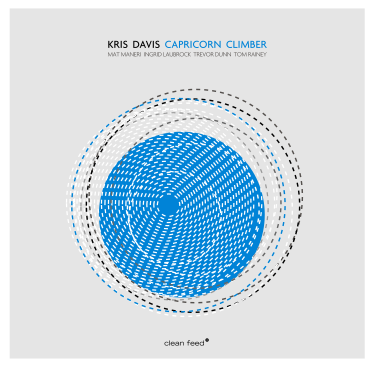 Another Kris Davis album which is well worth checking out is her solo piano, Aeriol Piano, also on Clean Feed. But Rye Eclipse is certainly my favorite. For those who buy from emusic, I had noticed that none of Clean Feed's 2013 albums were there. So I wrote to the label and asked. They said they'd be there soon. Whoops, excuse me, I forgot that. In fact I started with viola, then ended up writing violin later in the review. It's like Taylor Ho Bynum you have to remind yourself that it's a cornet not a trumpet. I'll change it immediately, thanks for reminder.